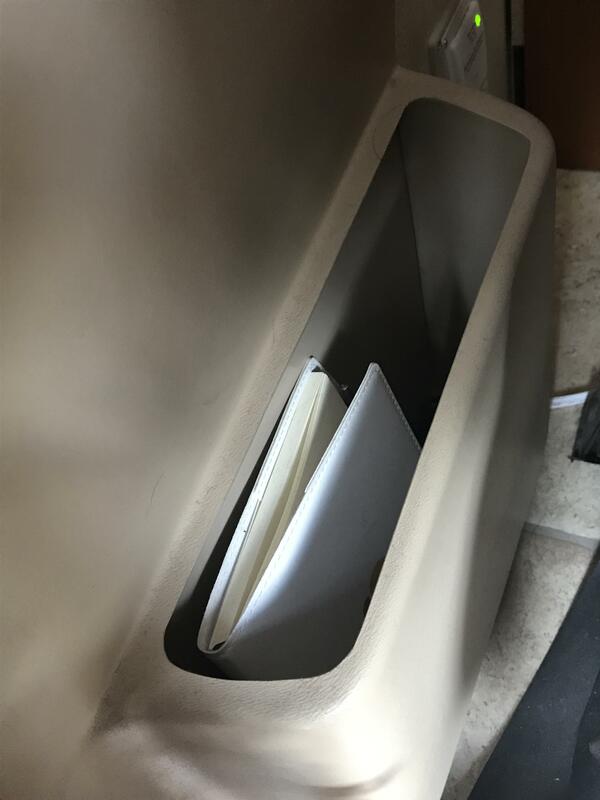 Map/book compartment near passenger seat? Does anyone know if there was an insert that came in originally for the map/book compartment on the side wall beside the passenger seat in a 2007 Kountry Star? We’re the 3rd owners of this coach and there isn’t anything. Just a very deep hole with very sharp edges. Same on the driver side, but it’s not as deep. The way it is, it’s almost not usable for my wife to reach in and out regularly to store and use items. And it seems very “unfinished”, unlike the Newmar quality we normally see. Mine is very similar on our 2005 Essex. There are no inserts. However, the edges are not sharp. You might try some edging like this ... it's common on older cars and comes in various sizes. That looks a lot like the map pockets on our 2008 Canyon Star, same places as yours, ours had no better finish that what's shown. We didn't have too much trouble with them, maybe they filed the sharp edges in 2008? That's normal. If you want to make it better, get a length of windshield wiper hose and carefully slit it length wise with a razor blade. Slide it over the edge and cut to length. If it doesn't stay by itself, add some adhesive inside the tubing. Thank you everyone. Very helpful to realize that's the way it is.